The Nam Con Son Pipelines Company (NCSP) was established in 2000 as a joint venture between the former Vietnam Oil and Gas Corporation - now Vietnam National Oil and Gas Group (PVN); BP Group and Statoil Group. Experiencing partnership changes, NCSP has become a joint venture between PetroVietnam Gas Joint Stock Corporation (PV GAS), Rosneft Pipelines Vietnam and Perenco Pipelines Vietnam, with PV GAS being the project’s operator. BP transferred the right to manage the project to the PVN’s PV GAS on January 1, 2008. Bringing into play the success of the previous project operator, over the past 11 years, PV GAS has been maintaining and promoting international standard, stable and efficient management and operations to safely distribute gas to customers. At NCSP, safety takes the top priority, and both staff members and contractors strictly observe safety standards to ensure stable operation and longevity of machinery and equipment. NCSP attaches much importance to equipment maintenance and always ensures regular, on-time maintenance of safety control and production equipment. The company works with mine owners and related units to ensure safe operation of the entire gas transport and treatment system and non-stop gas distribution according to customers’ requirements while observing provisions of gas and condensate transport and distribution contracts. NCSP works with related parties to ensure safety of onshore and offshore pipeline corridors and safety and reliability of the entire system. In 2018, NCSP continued to ensure security and safety of the Nam Con Son gas pipeline system. No accidents and serious occurrences related to equipment safety were reported. The company reached a 100-percent reliability rate in the system’s operation. This significantly helped NCSP reach or exceed all 2018 targets set by PV GAS and related parties, reaching an estimated output of 6.4 billion cubic meters (102.4 percent of the year target), estimated revenues of more than VND5.9 trillion (106.7 percent of the year target), and paying an estimated VND310 billion in taxes to the state budget (107.27 percent of the year target). As of April 15, 2018, NCSP safely transported and distributed 80 billion cu.m of gas and celebrated the 11th anniversary of the Nam Con Son gas pipeline system’s safe operation. Not only PVN and PV GAS but also foreign partners have highly rated NCSP’s achievements, including efficient, safe operation of the Nam Con Son gas pipeline system. 2019 is the 17th consecutive year of the gas pipeline system operation. The operation has reach an international standard, with skills and qualifications of related staff members having improved significantly, and management, processes and regulations related to safety, operation, maintenance, personnel and procurement having been improved and updated in accordance with actual development demands. Many major projects need a growing number of maintenances and repairs, causing more challenges for safety control by NCSP in 2019 and the following years. Having acknowledged its important role in gas transportation and distribution for national energy security and functioning as one of the four most important gas systems in the country, NCSP always tries its best to ensure continuous, efficient operation of the Nam Con Son gas pipeline system, in which safety always takes the top priority. To do a good job, the company continues to maintain and strengthen safety awareness, including promotion of safety awareness of every staff member, and building and enhancing business ethics, corporate culture, labor disciplines and sense of responsibility in safety management and operation. NCSP will continue to implement and coordinate with related parties to closely monitor frequent and preventive maintenance, prepare detailed plans for regular maintenance, manage and closely monitor those plans’ implementation, ensuring no major jobs are delayed to next year; pay special attention to important safety and operational equipment; closely coordinate with contract and procurement teams to ensure that supplies and equipment are available in all situations, including cases of emergency; and handle ad hoc jobs on time to ensure equipment is regularly controlled and operated in a safe and stable manner. 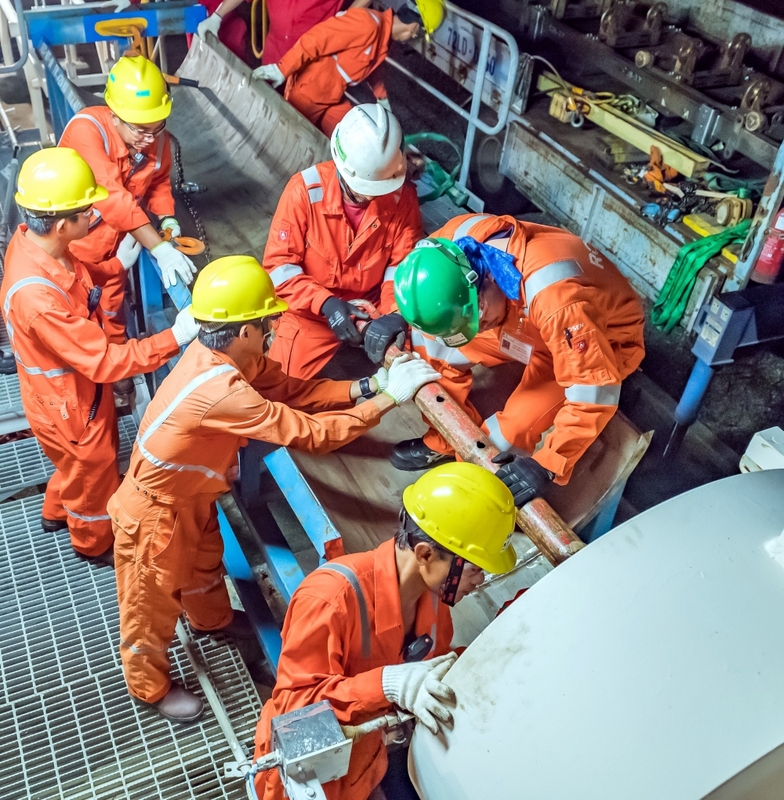 The 2019 safety goal of NCSP is to maintain the whole system’s operational reliability rate of 99.95 percent or higher and see no gas halt incidents, no accidents and no serious incidents related to equipment safety, ensure security and safety of the entire Nam Con Son gas pipeline system, and provide gas in a safe manner and with a high reliability rate for customers. Achievements that NCSP has obtained in safety control are really remarkable. They are attributed to good labor disciplines, and international standard and well perceived management and operations. They have contributed greatly to the success of the project, a Vietnamese gas industry’s bright spot in the international arena.